Print advertisement to build awareness and emphasize ACEC Georgia's state-wide commitment. 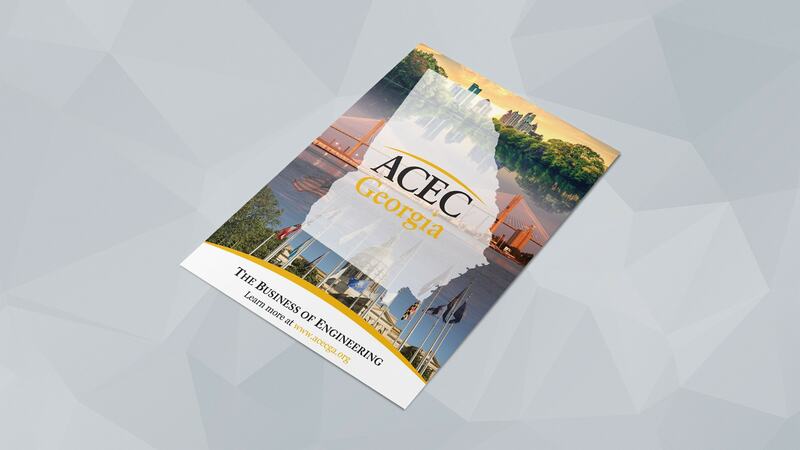 The American Council of Engineering Companies of Georgia (ACEC Georgia) is the voice of the business of engineering in Georgia. 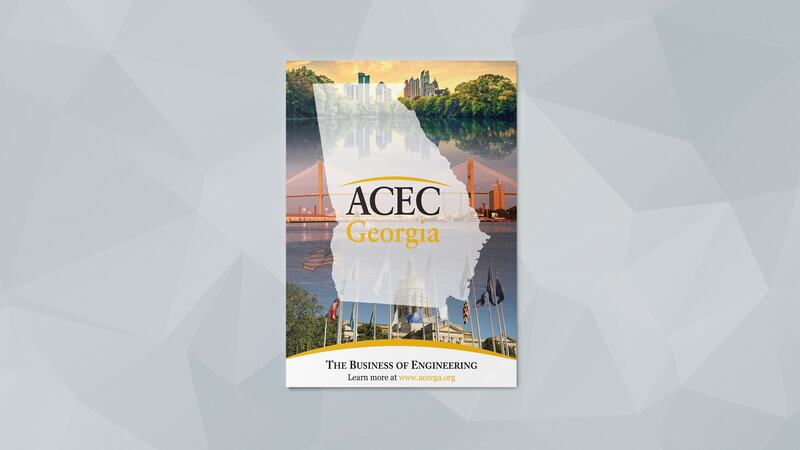 ACEC Georgia advocates for public policy and legislation that will improve the business climate for the engineering industry, promote economic development and protect the integrity of the engineering profession. ACEC Georgia is a member organization of the American Council of Engineering Companies, a national federation of 51 state and regional organizations headquartered in Washington, DC.